It’s here, the most stress….I mean most wonderful time of the year. School holiday concerts, parties, gift giving, seasonal TV special watching, cookie baking, turkey roasting, stocking stuffing, carol singing. Okay, you get the idea. There’s A LOT going on for most of our families. So much of it is fun and meaningful, but we can quickly find ourselves in a grinchy groove not enjoying any of it if we get too overwhelmed. There isn’t a one size fits all solution, but I’ve got 5 MUST HAVE Holiday Apps that I think cover the major areas of “doing” during the holidays and can help you to get on with the enJOYing. 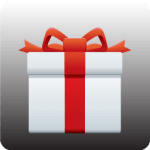 Don’t go gift shopping without this app. It lets you use your mobile phone’s camera to scan the barcode of almost any product and then compare prices to see where you might be able to get a better deal. Results are delivered quickly and will cover both local and online results. 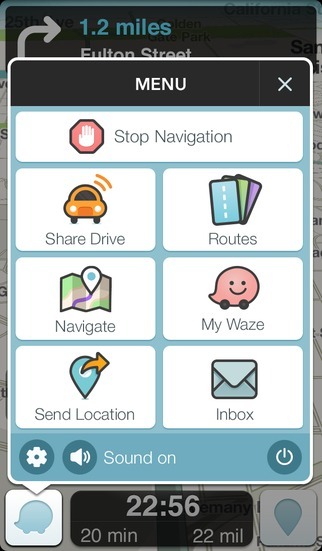 This has been one of my favorite Apps for years and continues to be the leader in its category. A great way to help keep to your holiday budget! This App helps you keep track of all the people you have to buy for, their sizes and how much you’ve budgeted for each person.You can take pictures of gifts either to save as a reminder for a future purchase or to help you recall what you’ve bought so far. As you purchase gifts, you can tabulate what you’ve spent vs. what you’ve budgeted and even filter the list to view only those for whom you still have to find that perfect something. I liked that it also gives you the ability to associate gifts with certain events, and that you can not only track what you give, but also what you receive. A big help when thank you note writing time comes around. 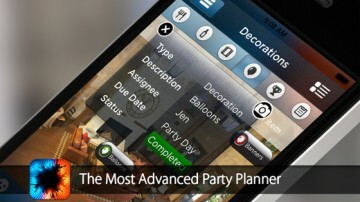 This is considered the top party planning app on iTunes for a reason. It is one heck of a bargain for what basically amounts to your own little personal assistant right at your fingertips. Here you can manage guest lists, RSVPs, thank you notes,seating charts, budgets and all other hostess with mostess “to dos”. There is even a virtual reality that will let you visualize the way the decor will look. The app integrates with Facebook to help keep guests up to date and if you happen to have multiple people involved in the organizing you can even delegate out tasks. Whether it’s a huge holiday bash you are pulling together or a simple seasonal soiree, the Pro Party Planner has got you covered. Now, there is another version that is supposed to be available specifically for the holidays called Pro Holiday Planner. At the time that I wrote this post, if you clicked through to purchase, the site was saying that it was not available in the U.S., but hopefully that will change so I went ahead and included the link just in case. Seriously, this App is worth the amazing food photos alone. You don’t have to actually plan a meal, you can just dream about one. Okay, but if you are actually going to be serving some sort of meal to friends and family this holiday or even just hosting something as simple as a cocktail party than this is the only App you’ll need when it comes to the food. There are dozens of recipes for all the traditional holiday favorites along with a few to take it up a notch if you want to do something a little different. 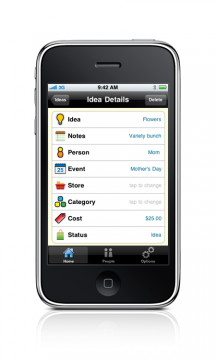 You’ll also find complete menu planning capabilities, video tutorials and step-by-step slideshows. You don’t have to be a good cook or even like to cook, with this app no one will ever know! Christmas: Starring You! by StoryBots– Use your camera roll or Facebook photos to put faces on five animated singing and dancing elves to your favorite holiday tunes. It’s been around awhile and still cracks my kids up every time. GlowTunes Christmas – Decorate a virtual Christmas tree with all the trimmings along with festive holiday tunes and even some virtual snow! Holiday Advent Calendar – This was the most like the real deal and its great for kids. Open the different flaps (with a tap of course) to reveal the hidden item. Parents can set it so kids can only open one per day. 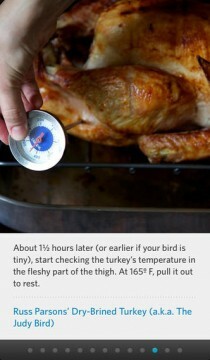 A few favorite holiday songs accompany the app along with some other cute features. Looking for other tips to not just survive the holiday season, but to actually find some of that peace and joy everyone keeps talking about? Check out of our holiday savings posts HERE. Follow Sunshine and Hurricanes ‘s board Christmas Gifts & Tips on Pinterest. 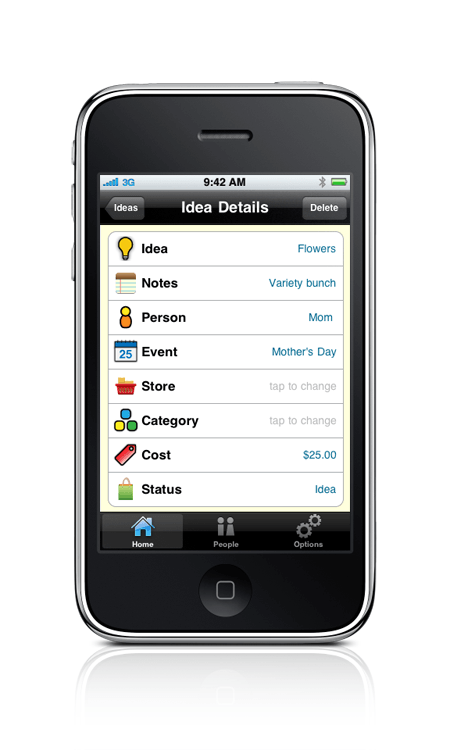 Do you have any favorite Holiday Apps? Thanks for sharing these! I have grabbed 2 of them and I’m ready to give them a try this season! That’s great! You’ll have to let us know what you think!